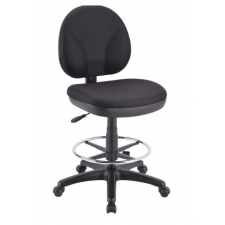 Eurotech Apollo Drafting Chair w/ Seat Height Range 23.5"-32.5"
Starting At $283.00 + Free Shipping! 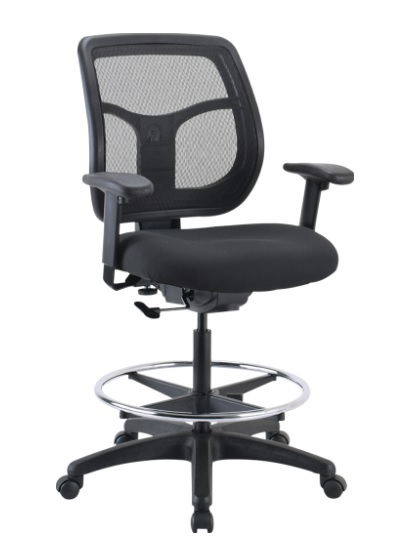 The sleek and ergonomic design of the Eurotech Apollo Drafting Chair w/ Seat Height Range 23.5"-32.5" will make you excited to sit down and get back to work at the beginning of the day or after your lunch break. Ready to assemble upon arrival, you will find that the dual wheel casters withstand the test of time, while the waterfall seat and nylon base ensure a comfortable sitting experience. If you have a hard floor that you don’t want to leave any marks or scuffs on, soft wheel casters can be provided free of charge.